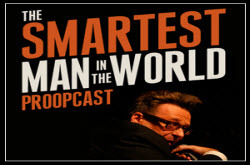 In a world full of windbags, comedian Greg Proops is a deep puff of fresh air. 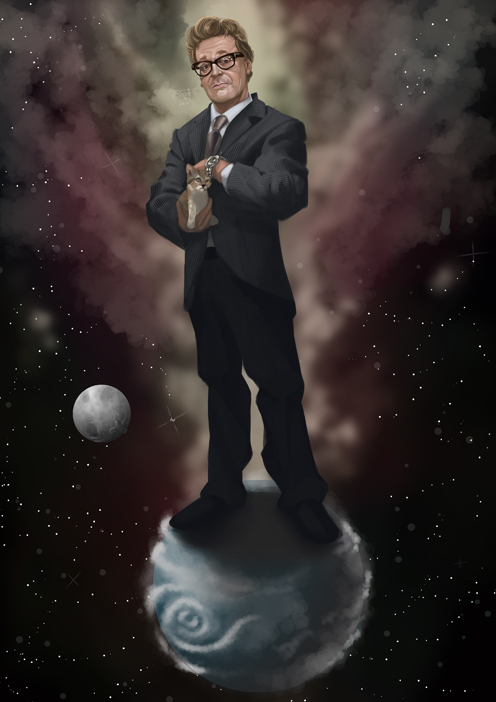 Every week his Vodcast, The Smartest Man in the World takes to the aether to remind us that not all middle-aged white men are gynophobic power whores. Recorded from salubrious international confines, our hero enlightens as he entertains. Perched at a table on stage, his noble Proops plucks Vodka-fueled anecdotes on world history and current events from a stack of stories curated by he and his wife, Jennifer. This entry was posted in Articles and reviews about excellent podcasts and tagged best youtube funny video, best youtube funny videos, excellent podcast Smartest Man in the World, free funny video clips, free funny video clips for kids, free funny youtube video clips for kids, funniest videos, funny video, funny video clips, funny video for kids, funny videos, funny videos for kids, funny viral video, Greg Proops podcast, humorous video clips, humorous youtube video clip, humorous youtube video clips, jokes, The Smartest Man in the World, The Smartest Man in the World by Greg Proops, The Smartest Man in the World podcast, The Smartest Man in the World podcast by Greg Proops, top 10 funny videos, top 10 youtube funny videos, top ten funny videos, top ten youtube funny videos, video humor, video jokes, youtube free funny video clips, youtube funny video clips, youtube funny video clips top 10 funniest videos, youtube funny videos, youtube video funny, youtube videos funny, youtube videos that are funny.